The workshop is an intense, three day residential process inspired by Dr. Elisabeth Kubler-Ross’ ground breaking “Life, Death, and Transition” Workshops, which ended in 1995. Dr. Kubler-Ross initially created five day workshops for dying patients. However, it soon became apparent that their accompanying loved ones and caregivers were equally burdened, carrying the pain of their own personal losses as well as the challenges of their current responsibilities. To Provide a safe place to share our stories so that we can move from isolation to connection, and from judgment to compassion. To work through our fears, anger, and shame in order to be more open to love, joy, and respect. To further the grieving process of old and current losses. To understand the difference between healthy and dysfunctional communication. To relearn the use of natural/healthy emotions in order to live more fully in the present. To find balance in our physical, emotional, intellectual, and spiritual lives. To listen and care more deeply without taking on the pain of others. In 1986 Tucson Medical Center (TMC) sent a number of nurses from the same medical unit to one of Elisabeth’s workshops. After noting significant changes in these individuals, and the improved functioning of the medical unit, TMC asked Dr. Larry Lincoln to create an on-going program for all employees suffering from “burn-out” or wanting to grow in compassion. Recognizing its impact, TMC, with the gratitude of Dr. Elisabeth Kubler-Ross, opened the Workshop to the community at large. To date, more than three thousand participants have come from all over the United States and around the world. Some have learned about this program by “word of mouth”, as friends have often encouraged family members and other friends to attend. Over the years, many psychotherapists have consistently referred their clients as an integral part of their treatment plans. We view grief in the broadest of terms. Elisabeth Kubler-Ross was fond of saying that you could literally gather a dozen random shoppers in any grocery store to form a workshop. Every one of us, she would argue, has “unfinished business” that affects our current life. Some would come to process the deaths of loved ones; others to mourn the loss of their childhoods, or to find parts of themselves that had been buried, or cut off, by trauma and /or neglect. Throughout the years, we have helped participants release bottled-up rage, which spills out at work or onto family members, or come to terms with constant remorse or sadness that may look and feel like depression or fear. During the Grief and Loss Workshop weekend, we learn how old patterns of behavior, which initially helped us survive, are now responsible for our judgments, resentments, stress and exhaustion. Regardless of the specifics of our childhoods, we learn that “pain is pain is pain”. Given a safe place to grieve, we learn we are all alike. Each of us shares a common humanity that includes unexpressed, often profound, pain as well as a capacity for unconditional love. But, it is the compassion for self first, and then others, that moves us toward healthy responsibility in life. As Elisabeth Kubler-Ross often said, “We all have both a Hitler and a Mother Theresa inside of us…” and we need to reconcile this light and shadow within. The Growth and Transition/Grief and Loss Workshop begins on a Friday at 9:00am, with final registration and roommate assignments. On the first day of our residential weekend, we begin weaving the threads of mutual respect, confidentiality, and safety. The teaching models provide a pegboard on which each participant can place their personal history. In order to by- pass our intellectual and analytical minds, we make impromptu drawings which, upon analysis, often provide kernels of information about why we have chosen to come to the weekend. From the very beginning of the workshop, we practice listening to what our emotional and spiritual quadrants are requesting of us. Friday evening and all of Saturday, we witness the “externalization work”, the backbone of the workshop. “Externalization” is the term we have used for many years to refer to the process of bringing to the surface any of our internal feelings. 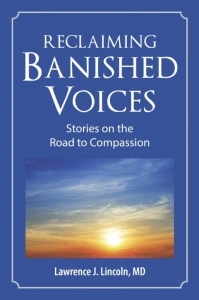 Participants voluntarily share their stories, often expressing their bottled-up, or long forgotten, emotions, such as anger, sadness, fear, love or joy. The triggering of emotional memories and new insights occurs as group members share their stories. On Sunday morning, we teach models that help integrate the work of the weekend. Participants leave with a clearer sense of how they can live more consciously. For some, there is a realization that more “work” lies ahead. Others leave feeling they have reached new depths with their on-going issues. Most often, participants breathe in a sense of accomplishment, and appreciate a profound connection to humanity as a whole. We end our workshop with a brief, but meaningful, closing ceremony at 1:00 pm on Sunday. Guests, as well as the general public, are invited. Whether we have suffered burnout at work, or an inability to live fully in our everyday lives, due to childhood trauma or current losses, we honor our unique journeys toward wholeness. For over 30 years, the Grief and Loss Workshops have drawn participants from all walks of life and all backgrounds, sharing the common goal of increasing their self-awareness. Those who face, or have faced, major losses or changes in their own lives, or in the lives of the people they love. Those engaged in care giving and helping roles: health care workers, teachers, therapists, clergy, attorneys, managers, parents. Those encountering job fatigue (burnout), numbness, or lack of fulfillment. Adult children of dysfunctional families.